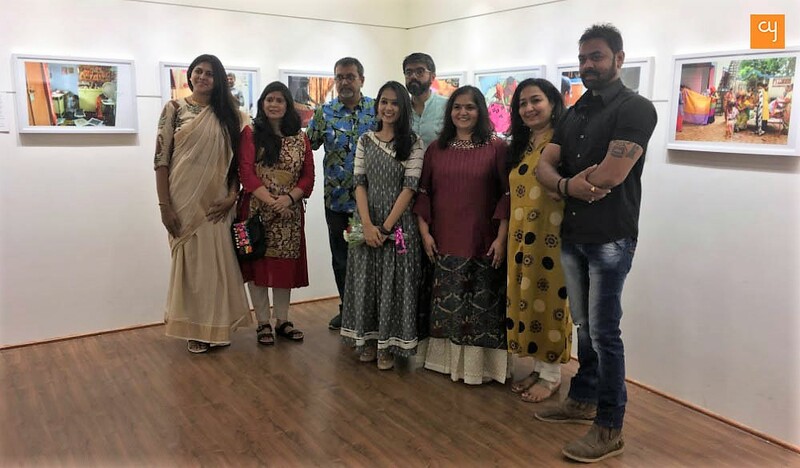 Vivek Desai created a special exhibition for these seven students from his Vision Extended Photography Academy, to highlight their creativity. 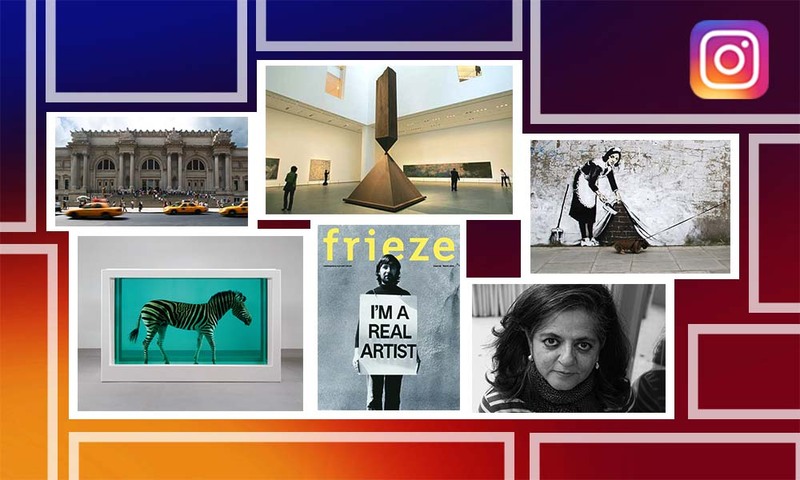 The group show stimulated the senses with themes as diverse as spirituality, wildlife, hotels and street life. 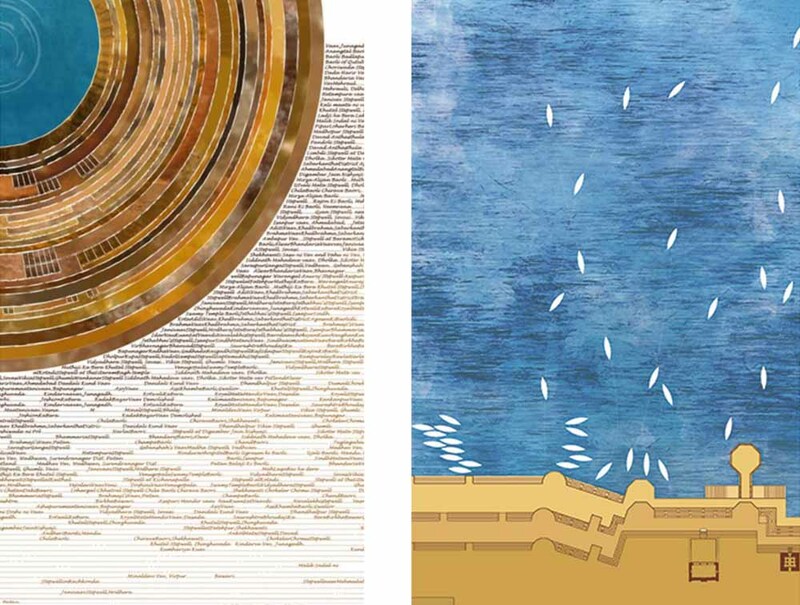 Out of the seven participants, three took spirituality and religion as their primary subjects. Pratik Patel, a talented lensman who works in the accounts department of a corporate firm, runs a photo-walk called Shutterphilliya for enthusiastic photographers of Ahmedabad. His perspective on ‘faith’ revolves around the act of ‘praying’ and the multiple manners in which people pray. We see a wall full of photographs of children in Becharaji; in a spot where people come to pray in the hope of bearing children. 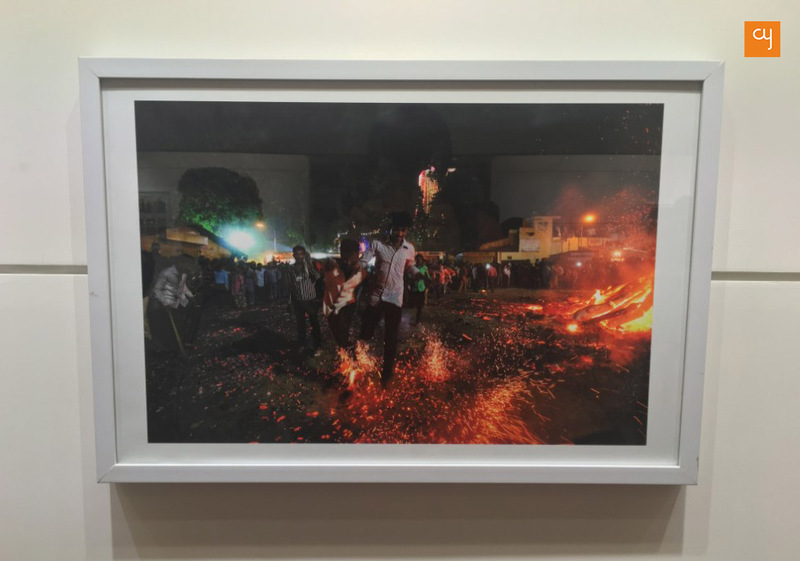 We also see people running on burning coal during the Hindu festival of ‘Holika Dahan’, in his shots. Jivesh Marfatia, meanwhile, captures the true essence of the 2016 Kumbh Mela, held in Ujjain. The mysticism of the world’s most prominent religious gathering is clearly felt in each of his shots. They capture a range of subjects, from the Naga Sadhus to the general hustle and bustle of the Mela. We see a bright orange Ambassador car draped in drenched clothes and a tight police surveillance room at the Mela’s crowded premises. Each photograph describes an unusual aspect of the UNESCO Intangible Cultural Heritage. Participant Shalvi Broker has practised Jainism throughout her lifetime. She portrays the root beliefs of Jainism–Devotion, Truth, Non-violence, Non-stealing, Asceticism and Non-attachment. Jain sages wearing white cotton robes are seen to chant in her shots. And candid human expressions are captured during the daily rituals at a Derasar (Jain Temple). The ‘human’ factor helps one connect personally with Broker’s subjects. 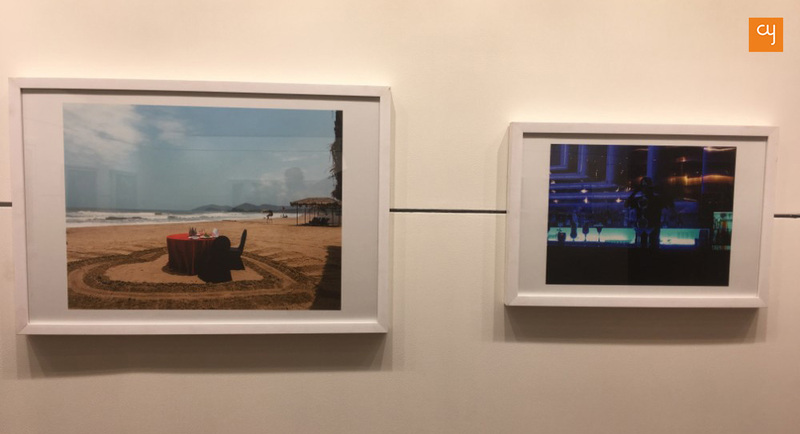 Neha Bhatt, who has been practising under the guidance of Desai for almost a year, has been working as a fashion photographer since more than a decade. She adopts a photojournalistic approach to her subject and captures images of working artisans as they practise an intricate sewing process. Called Appliqué, this process is quite different from ‘patchwork’, explains Bhatt. She travelled to Banaskantha, Dehgam, Rajivnagar and Vallabh Vidyanagar to capture the daily milieu of the artisans there who practice the Appliqué process of needlework. 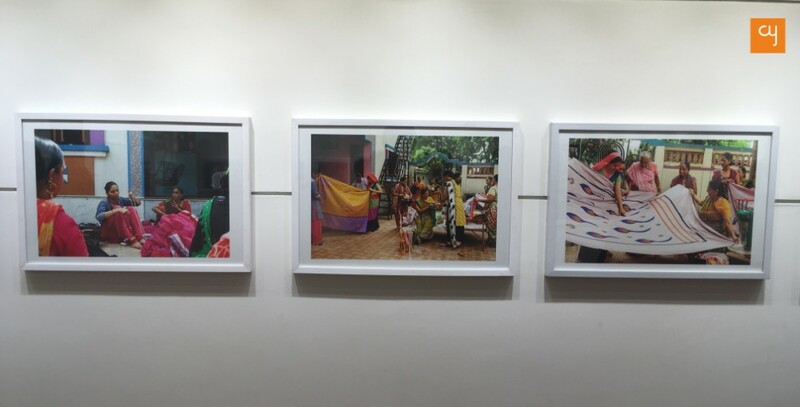 Through photographs contrasting the artisans’ colourful clothing with their humble residences, she portrays the workers’ underpaid condition and everyday hardships. Local blogger and writer Ranjani Sastryturns the camera into a tool for storytelling to capture the street life of Ahmedabad. She travelled to the city’s local markets, including the famous Sunday Market, exploring the concept of ‘light’. Using glass ora mirror as a primary element in many of her photographs, she cleverly juxtaposes multiple subjects within the same frame. Several viewers were seen to be admiring her conceptual take and use of reflection as an element. Since five years, Rashmi Joshi has travelled to various sanctuaries and national parks to capture the beautiful tigers and leopards of India. Her photographs have already garnered her multiple awards. 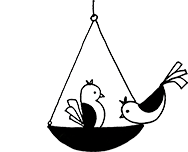 As a hobbyist, she says she loves to experiment with genres and styles. 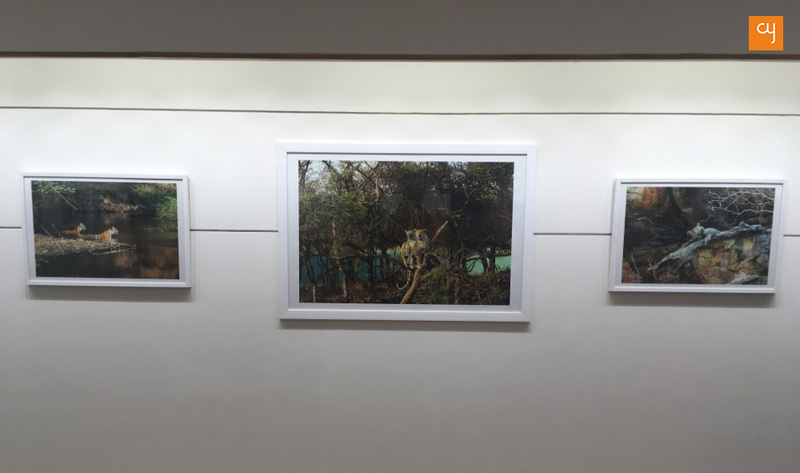 At the Vision Extended exhibition, Joshi exhibits pictures of the beautiful wildlife she witnessed at the Panna National Park and Tipeshwar Wildlife Sanctuary. The visual experience of these photographs is enhanced by the skilful quality of prints taken at Navjivan Press. 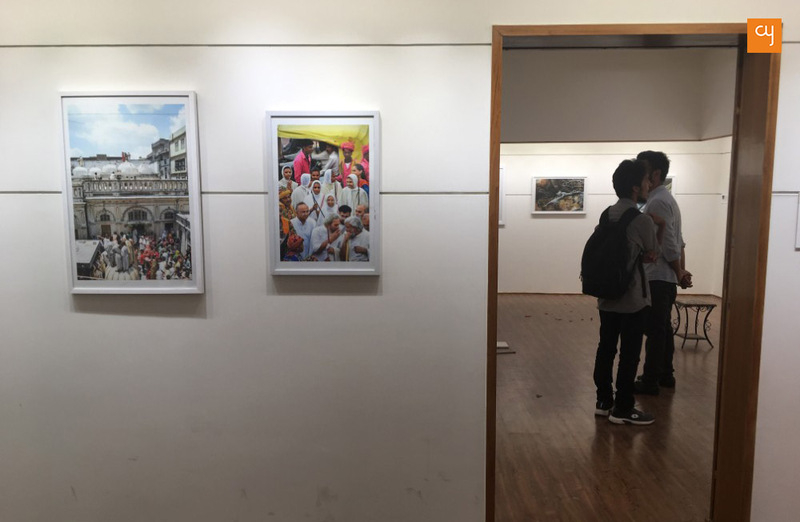 19-year-old Priya Panchal, the youngest member of the skilful group, celebrated her first-ever photography exhibition on her 19th birthday. The daughter of professional photographer Rakesh Panchal, Priya learnt the basics of photography from her father and polished her skills under Vivek Desai’s mentorship. 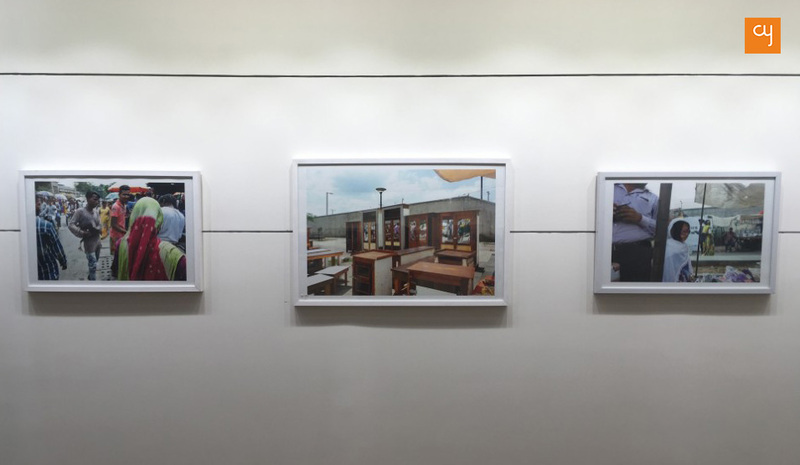 In this show, she exhibits photographs on the theme of ‘Hotels’. Her frames are minimalistic and precise. There is a particularly intriguing shot in which two glasses stand on a table, embraced by a dark ambience. The well-lit table looks like a wedding stage, with the glasses like a newly pronounced couple conversing with the other glasses on the table, as though they are people. The Satya Art Gallery opened after a break of two months with freshly whitewashed walls. It had last had its walls painted black for Desai’s exhibition Life at the Circus in January. 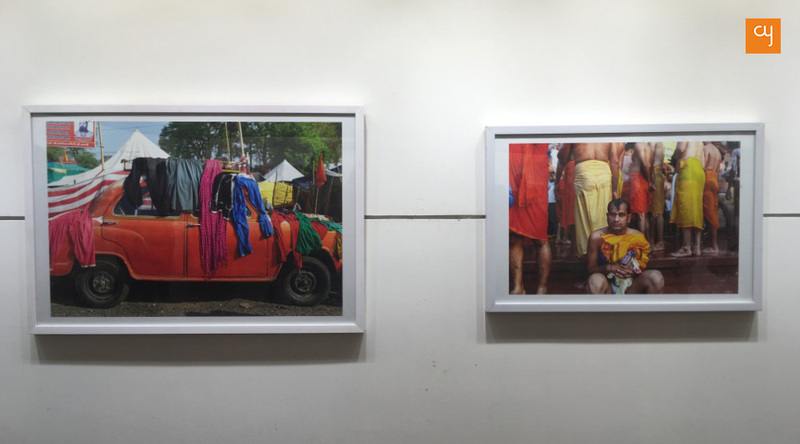 With such diverse themes and multiple perspectives on display, the Vision Extended group photography exhibition, which was open at Satya Art Gallery until August 19, stimulated the imagination and senses, besides demonstrating the skills of these photographers. Their shots seem to teach us that the rule to click a fantastic picture is to not think of what a fantastic picture is, but to be present in the moment.